Atlanta, a city known for partying, only gets the Big Game once every few decades. So when it does come, you can expect one thing - great parties! 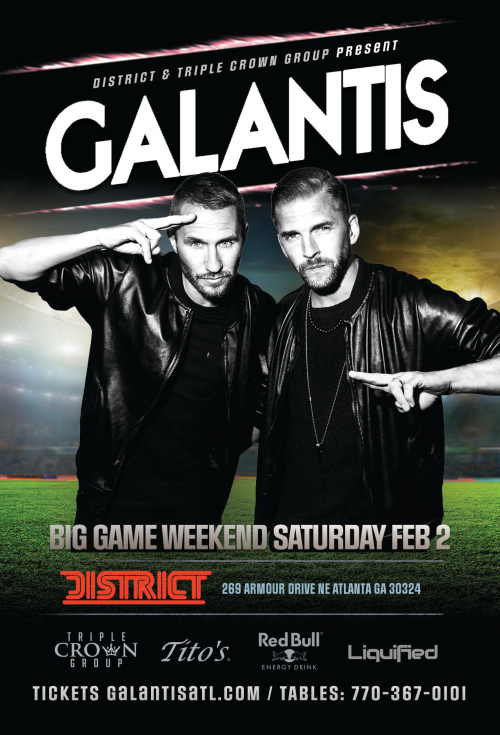 This Big Game Saturday is no different as District welcomes New York's Grifter and an amazing headliner act - GALANTIS.